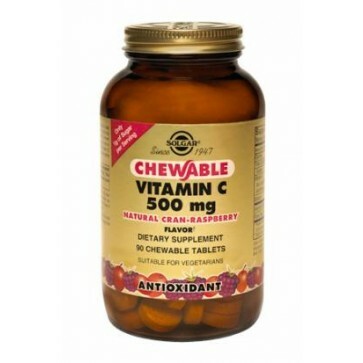 Chewable Delicious Cranberry Rasberry high potency Vitamin C for kids and adults! Solgar Chewable Vitamin C 500 MG Cran-Rasberry is very delicious. Great to support the body during or for preventative for colds, allergies, inflammation, skin health etc. High Potency Formula! Great for kids and adults!